This elaborate estate contains a stunning marble aviary, a sunken conservatory, and a magnificent music room with a two-story pipe organ. 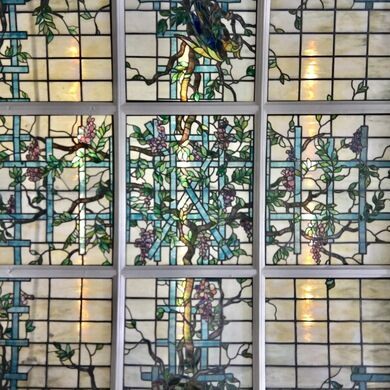 The stained glass ceiling in the aviary. Sunlight filters through the ceiling’s Tiffany stained-glass windows, illuminating the swirling patterns that adorn the marble room’s walls and floor. 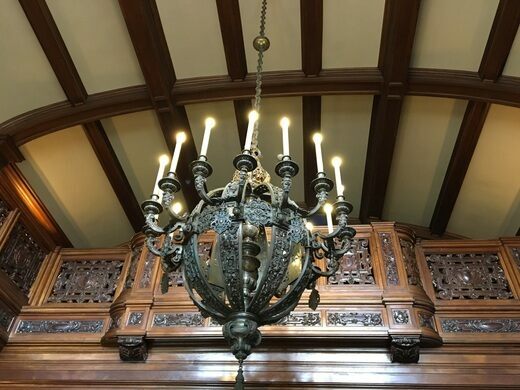 Though the magnificent room looks like it was destined to entertain esteemed guests in formal attire, it was actually built for avian occupants. 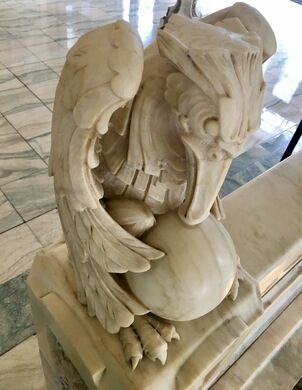 Exotic birds once filled the space, their vibrant plumage in sharp contrast to the relatively colorless marble. 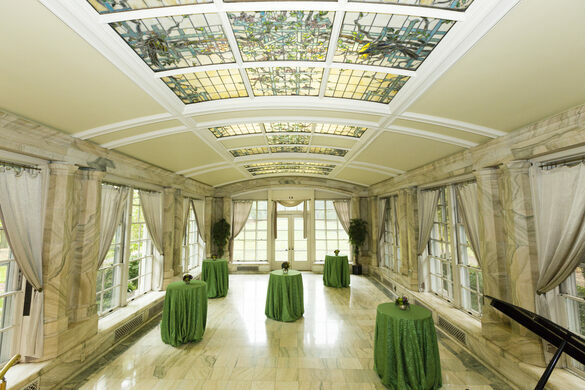 The lavish aviary is but one extraordinary room inside Allison Mansion. 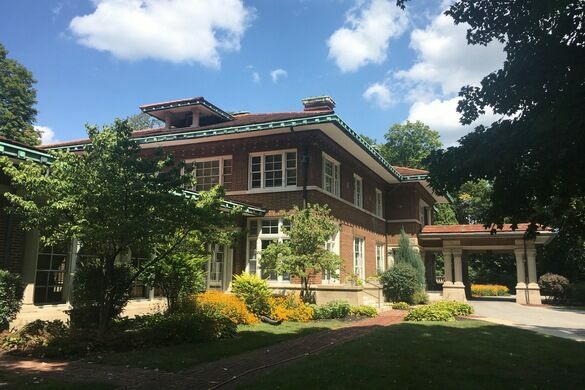 The grand estate was built by James Allison, an early 20th-century automobile entrepreneur perhaps most famous for being a co-founder of the Indianapolis Motor Speedway and the Indianapolis 500 race. The mansion has since become part of a private Catholic university, but it still maintains much of its original grandeur. Allison spared no expenses while having his two-story, red-brick, arts-and-crafts-style abode built. In addition to the marble aviary, which was built for his first wife’s exotic bird collection, the mansion also contains other wondrous features like an expensive chandelier imported from Germany, a sunken conservatory, and a magnificent music room complete with a two-story pipe organ. The outside grounds, too, boast an elegance that matches the manor’s interior. Lush gardens fill the manicured landscape, some of which even include greenhouses, ponds, and orchards. The whole property rests atop a cliff, which overlooks a wetland now overseen by Marian University. After Allison’s death in 1928, the mansion’s fate remained uncertain. It was eventually acquired by the Sisters of Saint Francis, who also founded Marian University. 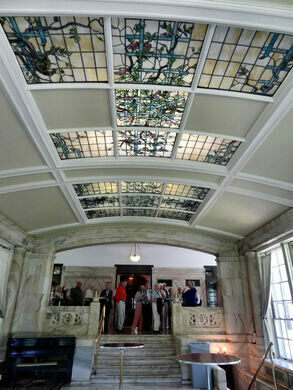 Allison Mansion is still part of the university and is open for public tours; it can also be rented for private events.